“The Largesse of the Sea Maiden” consists of five stories, three of which have never appeared in print. A posthumous book by a writer of singular ability is a thrilling gift from the grave, but it is also tinged with regret before we even crack it open. When Denis Johnson died of cancer last year at 67, American letters was stripped of a shimmering original, a visionary who dipped his quill in the ink of the numinous, striving toward the otherworldly, imbuing our days of macadam and mud with the beams of something other, something above. “The Largesse of the Sea Maiden” consists of five stories, three of which have never appeared in print, and weighs in at just over 200 pages. 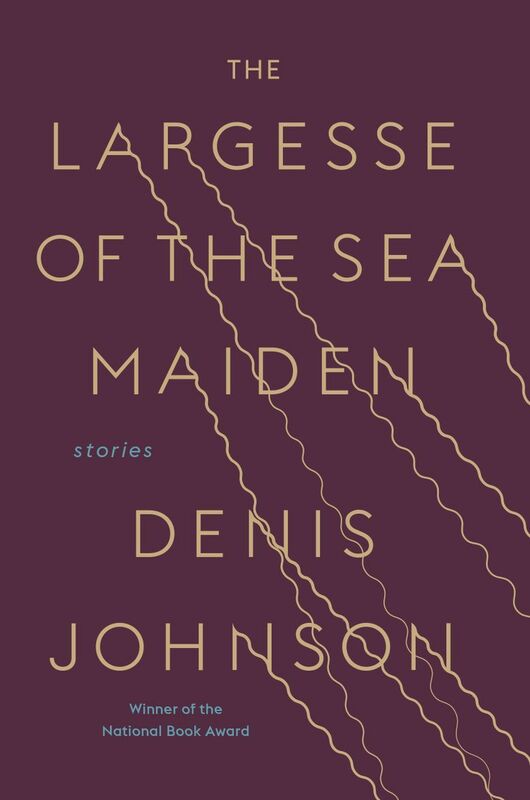 Johnson’s optimal fighting weight has always been near the 200-page mark, and for the many votaries of “Jesus’ Son” — the most iconic story collection of the American 1990s — “The Largesse of the Sea Maiden” will be much more than a lovely gift; it will be a benediction. Herein are those unmistakable Johnsonian questers and wastrels, narcotized poets and cons, ragged pilgrims ill fit for society, all of them conveyed in prose tingling from the concussion of the sacred and profane, with a sensibility beautifully receptive to bursts of black humor. In the title story, adman Bill Whitman — note the surname — dishes a contemplative collage of ex-wives and ex-friends, a resigned and almost free-associative appraisal of his shambled past. “The Starlight on Idaho” has Mark Cassandra — note that surname, too — in a rehab facility, “a salvage yard for people who totaled their souls,” scribbling desperate letters to his family and past loves, his doctor, the pope and Satan himself. “Strangler Bob” is told from a minimum-security county lockup, a composite portrait of flunkies and “wayward angels” snagged in the fangs of their own worst plans. (And there’s a better than good chance that the story’s wry teller is the narrator of “Jesus’ Son.”) In “Triumph Over the Grave,” a writer recounts his caregiving of two deathward friends, men “beaten at last not by life but by the refusal of their dramas to end in anything but this meaningless procedural quicksand.” In “Doppelgänger, Poltergeist,” a fed-up instructor of poetry muses upon his friendship with an Elvis-obsessed bard, a seeker whose grief over a dead brother brings him right to the lip of lunacy. Johnson’s is a quest for the holy under heaven, in a wilderness that has been degraded by the maleficence of God and man. Bill Whitman refers to “certain odd moments when the Mystery winks at you,” and that is Mystery as O’Connor means it: the mute and aching grace of God. His characters, “delivered here without an explanation,” sense themselves “disappearing into the infinite” and long to feel “the ecstasy of a dancer” as they grasp after whatever remedy might rescue them from the gathering dark. Here are women and men caught in a quasi-Manichean worldview, “dragged through the garbage of an evil life on their way to actually going to hell.” Mark Cassandra asks, “What could be worse than a messenger from God?” and perhaps the answer is the sons of the Son of God: Jesus’ sons. All necessary writers have something ineffable animating their work, but I’m certain that that something results from the counter-reliance of subject and utterance. It is here that Johnson achieves his magisterial effects. His chief concern is the language of the sublime, the embrace of awe, how to transcend the quotidian crush of our lives. He will come to be lauded not only as the holy stylist he’s always been, but as a gnostic seer shaking between damnation and deliverance. He is gone, but his breed of humane beauty dies hard.